Ahlen, March 2015. – At the ISH 2015 in Frankfurt, Franz Kaldewei GmbH & Co. KG will unveil the biggest-ever Kaldewei booth designed at 750sqm to make a clear statement. The company will present its professional audience with an entirely new product segment – washbasins made of Kaldewei steel enamel will round out the portfolio. Arik Levy and Anke Salomon are the designers behind a new campaign that involves the launch of groundbreaking innovations by Kaldewei and underline once more the company’s status as an expert in floor-level showering. 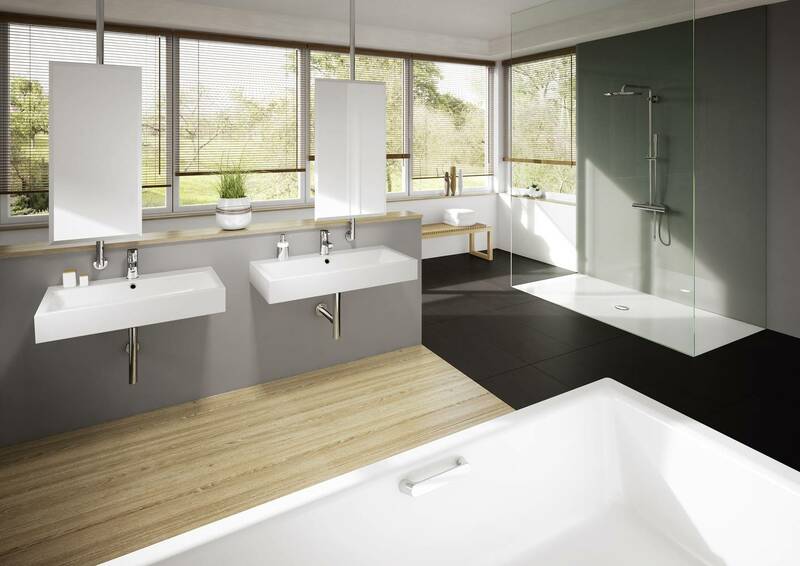 Kaldewei is a worldwide partner in high-quality bathroom solutions made of superior Kaldewei steel enamel. This is the statement that describes the company in its mission to promote an all-new brand identity developed by lead agency Kolle Rebbe. The central element – a calligraphic brush stroke – is based on the Japanese culture of reduction. The brush stroke represents the moment of inspiration and creativity that is the basis of all architectural, spatial and product design. It will run like a golden thread through the brand communication and will guide visitors at the ISH through the Kaldewei theme worlds. The ISH will also engage the public in a tangible experience that will bring the iconic staging of man and product to life. The Kaldewei booth will not only be the biggest in the company’s history; it will also impress with extraordinary architecture entirely devoid of right angles. Inspired by the power of light, individual rays penetrating the brand space will create three-dimensional facets with different focal points. The resulting play of perspective and proportion will allow visitors to view the new Kaldewei products from unique angles and experience them with all their senses. “Hear, see, feel – the fascination of our brand will be more tangible than ever at the ISH 2015 communicating in multidimensional ways the standards for the bathroom of the future. The booth concept is based on definite focal points that will open up intuitively to the visitors,” explains Arndt Papenfuß, Head of Marketing at Kaldewei. The booth design once again bears the stamp of multi award-winning agency Schmidhuber from Munich. The ISH 2015 will see Kaldewei launch the first-ever washbasins made of Kaldewei steel enamel. With the introduction of this new segment, bathrooms can now be styled using a single material, a harmonious design vocabulary and a matching colour scheme – from shower surface and bath through to the washbasin. Kaldewei engaged two illustrious designers to create the design for the new products. International star designer Arik Levy produced his first bathroom collection for Kaldewei. In his creations the multi award-winning designer masterfully combines rigid geometry and playful shapes to achieve perfect harmony. As an expert in the field, designer Anke Salomon developed new baths and washbasin series for Kaldewei that define themselves by exceptionally soft and natural stylistic features. The new Kaldewei Skin Touch system will introduce visitors to a true marvel of bathroom culture. 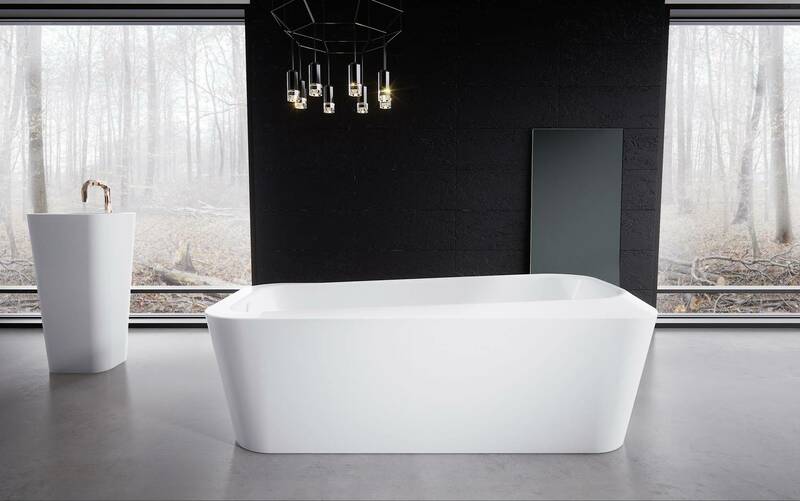 As the first manufacturer worldwide, Kaldewei now offers a system for its baths made of superior steel enamel which transforms bathing into the ultimate experience of relaxation with a cosmetic effect on the skin. A world-first, Skin Touch for baths made of steel enamel has a stimulating effect leaving the skin to feel visibly smoother and silky soft. Easy, flat, flexible: Kaldewei will once again present visitors at the ISH 2015 with versatile, easy and variable solutions for the bathroom – including 35 new sizes just for the enamelled shower surface Scona. As a further debut, Kaldewei will introduce the new ultra flat waste fitting KA 90 which enables floor-flush installation of the shower with a fitting height of only 60mm. With a choice of ten product series, 57 different sizes and well over 50,000 model versions, Kaldewei today is the expert in floor-level showering, thereby underlining once more its status as a worldwide partner in high-quality bathroom solutions made of superior Kaldewei steel enamel. At the ISH 2015 Kaldewei will present the first-ever washbasins made of steel enamel as a consistent further development of its product portfolio. With the introduction of this new segment, bathrooms can now be styled using a single material, a harmonious design vocabulary and a matching colour scheme. The Meisterstück Emerso bath and Meisterstück Emerso washbasin ensemble is the result of close cooperation with star designer Arik Levy. The free-standing, fully enamelled bath is designed with a subtly sloping rim that lets the eye wander quasi-endlessly as if tracing an undulating silk ribbon. The washbasin stands as an inversely built counterpart to the bath, with a lip that blends subtly into its basic internal shape. 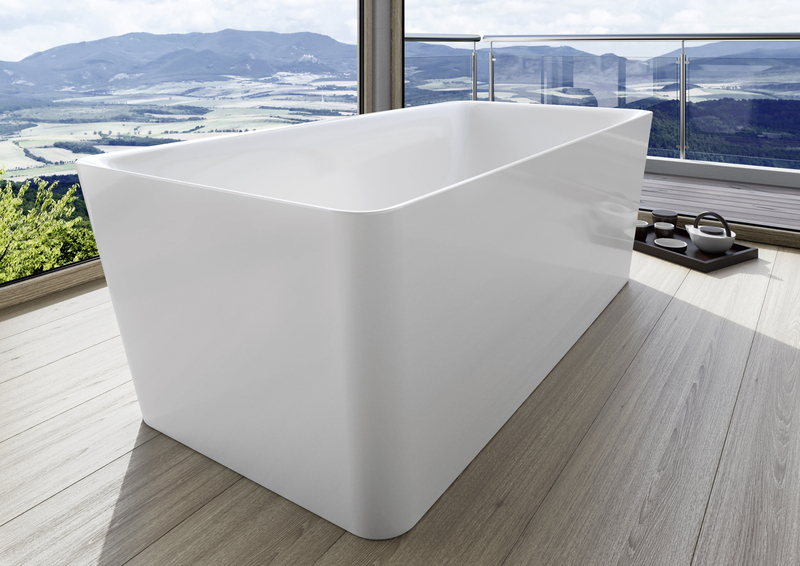 The free-standing Meisterstück Incava bath by designer Anke Salomon is defined by a distinctly narrow edge and the unique, conical contour of its enamelled trim. The contrast between the soft lines of the interior and the geometry of its exterior creates a new form of elegance that produces a subtle tension between straight and softly curving lines. The central element of the new Kaldewei brand identity developed by lead agency Kolle Rebbe is a calligraphic brush stroke. It runs like a golden thread through the brand communication and, in conjunction with the iconic staging of man and product, will be the signature of the new campaign motifs.